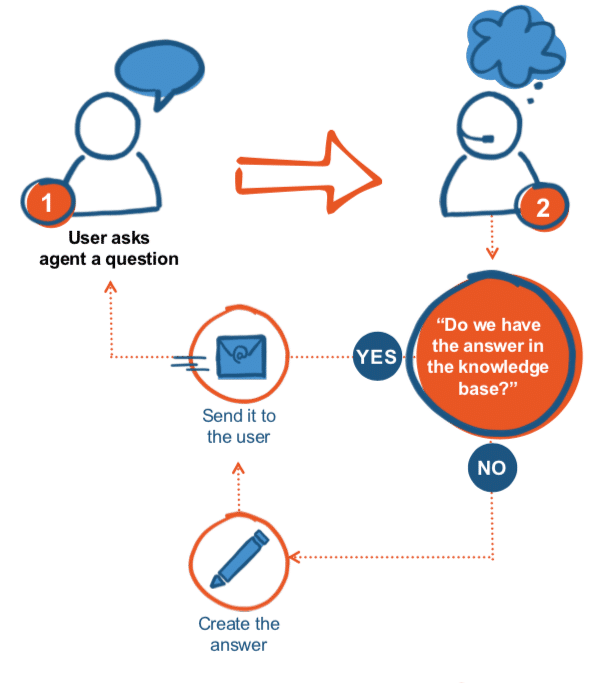 Call Center Managers often struggle with agent churn. Churn rates in the call center industry are extremely high, especially early on in the agent's time with the company. What many managers don't realize is that many of their agents "feel stupid". They are thrown into situations where they don't know the answers and are constantly having to either put the customer on hold while they talk to their co-worker, or pass the customer onto their manager. THE biggest challenge that we see companies encounter is getting started creating content. They both run into trouble. The first group starts out really strong, but quickly gets burned out. The worst part is they spend a lot of time writing articles that no one ever uses. In most consulting engagements that involve any form of change management the consulting team is required to deliver some sort of training material to the customer. This often takes the form of a "train the trainer" approach. 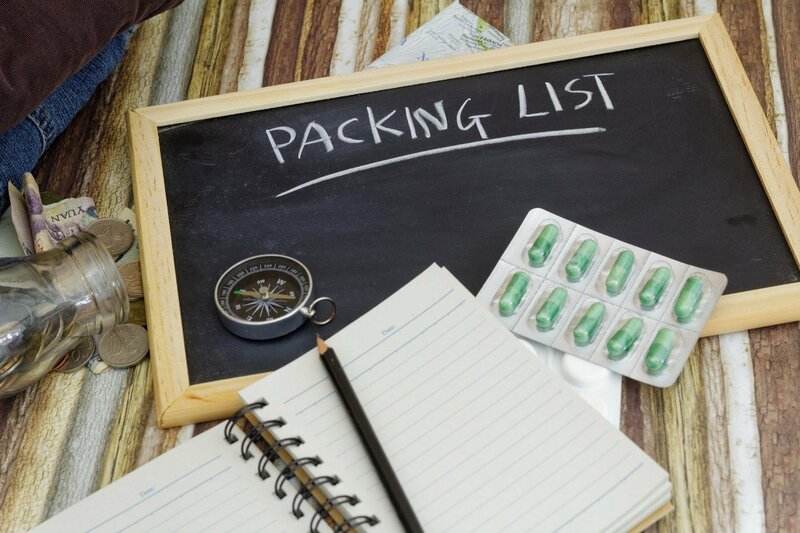 If you have ever been on a backpacking trip, then you know that a backpacker has to deal with competing goals when packing. What will this article help you do? 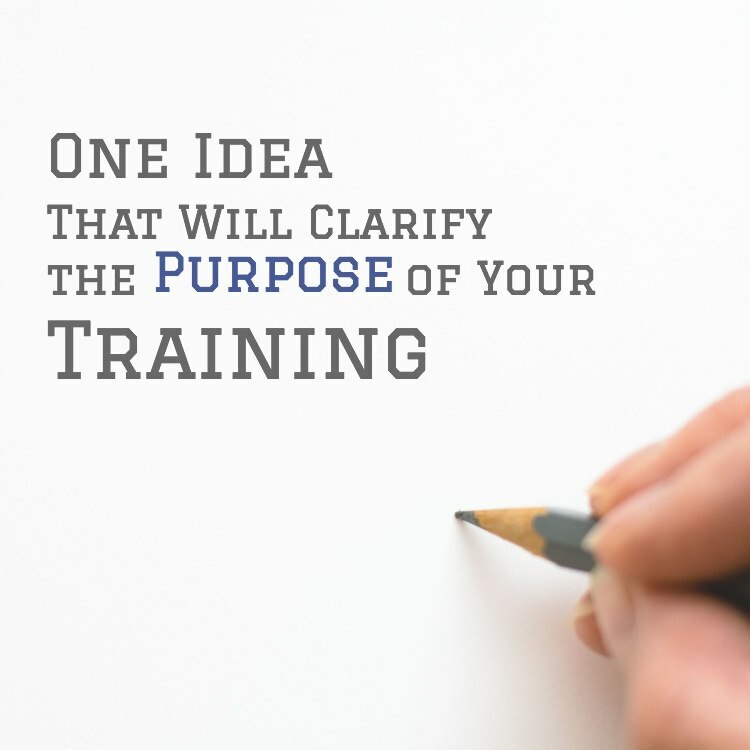 This article is going to help you achieve better training results in less time by teaching you how to create clear training "Outcome Statements". What if I told you that you were lost? But then I didn’t tell you where you needed to go? How would you develop a plan? How would you know if you were making progress? How would you know when you weren’t lost any more? In employee training, you clarify the destination by creating a clear definition of the outcome you want to achieve. We call this an “Outcome Statement.” Getting this definition right can make all of the difference. An ambiguous Outcome Statement will make it difficult to create training materials, measure progress, and determine success. I'm betting that you've already got something in place for #1 or #2. 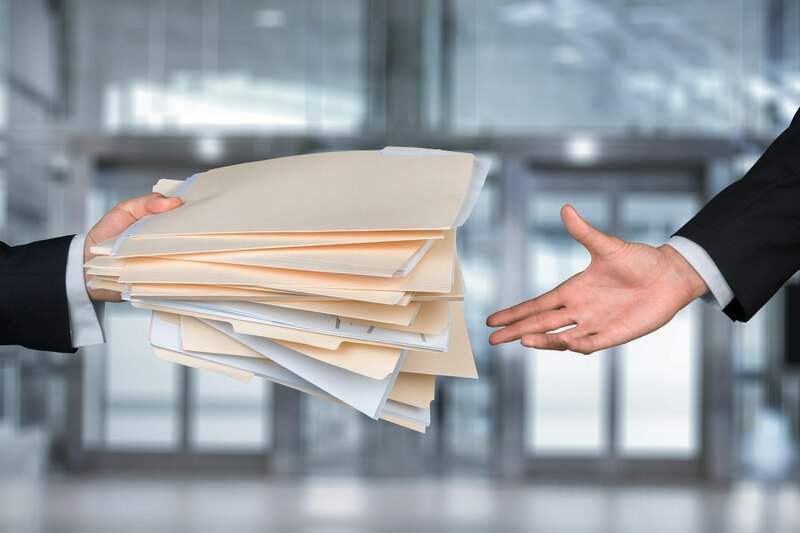 Plenty of HR systems deal with paperwork, and several LMS apps deal with compliance training. The question for today is, do you have a system in place for #3? 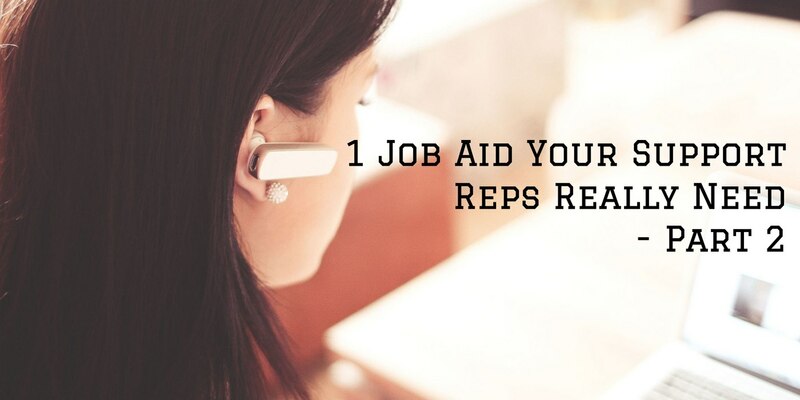 This is the second of a 7-part series where we talk about different kinds of job aids that your Support Reps need you to make for them. This is the first of a 7-part series where we talk about different kinds of job aids that your Support Reps need you to make for them. If you are planning a training session, I want you to pull out a piece of paper and a pen, and do 2 things.